Hatfield was elected to the state senate in 1908. Four years later, the 37-year-old Republican was elected governor. He pushed for progressive reforms, including the establishment of a Public Service Commission and a workers’ compensation program. He began his term in the middle of the Paint Creek-Cabin Creek Strike, the deadliest conflict of the mine wars. He granted a pardon to labor activist “Mother” Jones and striking miners who had been convicted in military courts. He also chaired a board that essentially ended the strike. After leaving office, he enlisted in the Army as a chief surgeon during World War I and later served one term as a U.S. senator. 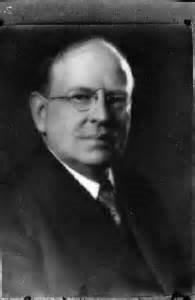 Henry Hatfield died in Huntington in 1962 at age 87.